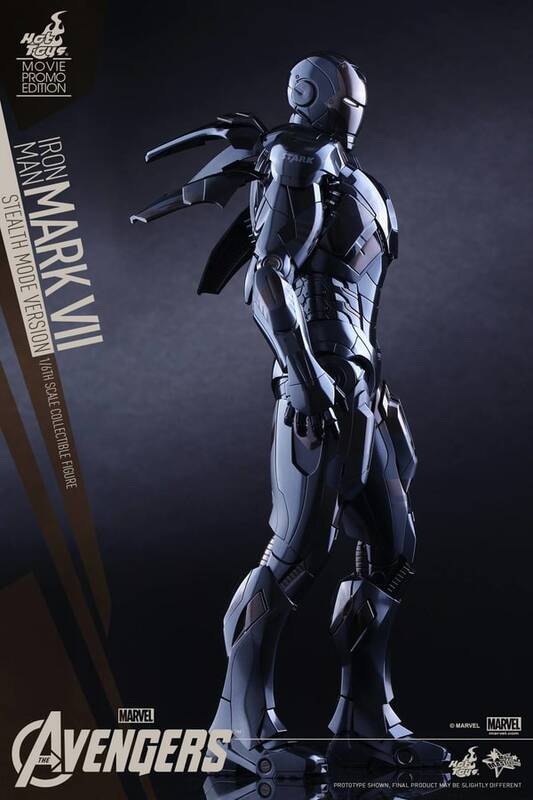 Did Hot Toys Just Secretly Confirm Iron Man's Stealth Armor in 'The Avengers: Age of Ultron'? Fan who have theorized about Iron Man and his stealth armor in 'The Avengers: Age Of Ultron' may be right. A lot of people have been theorizing that we would be seeing Iron Man hop into his stealth armor in May's The Avengers: Age Of Ultron. Well, it looks like they could be right. Or Hot Toys is just screwing with us because of the extremely convenient timing. The release date is set for Q2-Q3 2015 (sometime between April and September). Harley Keener said he would have added in "Retro-Reflective Panels" for "Stealth Mode" back in Iron Man 3, and with his heavily rumored succession of Iron Man, it makes sense that we see it. But with RDJ still locked in until Infinity War, is it possible that we see Harley's ideas implemented in Age of Ultron? SHIELD already has the technology. Yup - remember in the original Avengers movie when Maria Hill instructed everyone to "Engage Retro-Reflection Panel"? The exact same thing that Harley says to do a year later? And it's highly theorized that SHIELD begins making Iron Man suits, because a lot of them look the exact same. Sources: SuperheroHype, Tom Somerfield, Matt Kokowski.